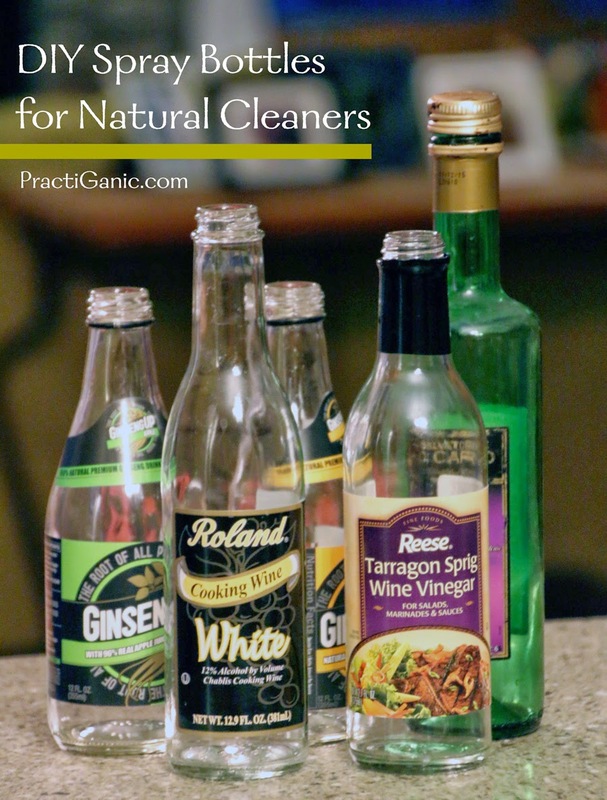 Step 2: Make your own natural cleaners. So, what is step 1 ... Make the bottles! Time after time when reading about essential oils and cleaning I read that eventually they may effect the plastic. Buying spray glass bottles can be pricey, so I decided to make my own. Paul, being "Mr. Let's Get Off This Plastic Planet" couldn't have been happier. I started saving every glass bottle that would have the same top as my old cleaner nozzles had ... vinegar, oils and some glass water bottles work great. Simply clean out the bottles and nozzles. I soaked the bottles in water and soap overnight so that I could get the product labels off and use my own labels. Make your solutions, fill up the bottles and start cleaning! 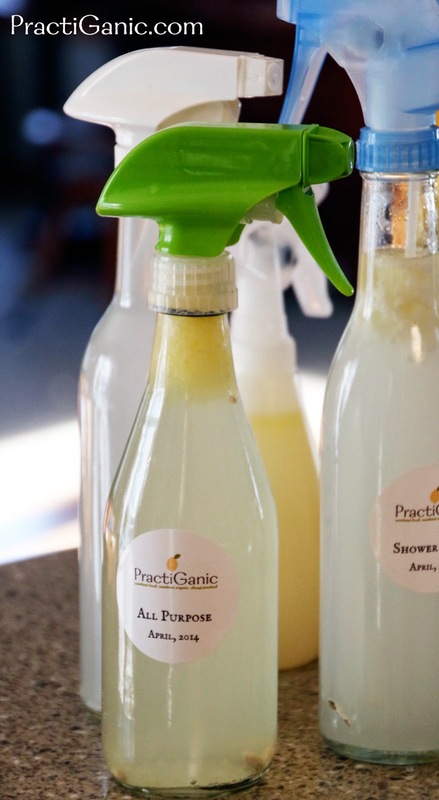 Don't forget to check out my recipes for DIY Natural Cleaners. 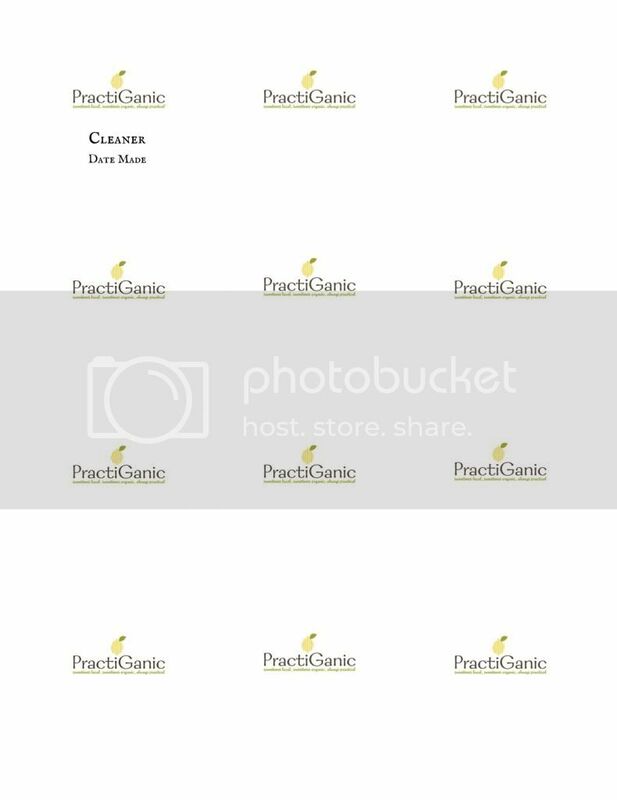 Here is a template for 2' diameter Avery 22807 Labels so you can easily label your cleaners. Download now! I have also read that essential oils degrade plastics. Have you found a solution to using the plastic nozzle, which probably also degrades?